Lignocellulosic biomass can be a potential source of bioethanol by a microorganism such as yeast and bacteria. Hydrolysis of cellulose resulted in reducing sugars and fermentation of sugar produces bioethanol. Fermentable sugar can be obtained by pretreatment of lignocellulosic biomass which involves physic-chemical techniques along with biological pretreatment. Many fungal organisms such as white fungus and enzymes obtained from them have been reported to carry out the pretreatment process. Several models have been proposed to validate the hydrolysis of cellulose and hemicellulose. Tools of metabolic engineering and genetic engineering are used for the modification of microorganism so that they can utilize the different forms of carbon and perform the fermentation process at a wide range of pH and temperature. Process optimization and kinetic studies of microorganism can help in enhancing the productivity of bioethanol. Monod model and its modifications are used to describe the growth kinetics whereas Leudeking–Piret model for product formation kinetics. Different kinds of unit operations as a tool of downstream processing can be coupled with fermenter to prevent the product toxicity and increase the yield of the ethanol. 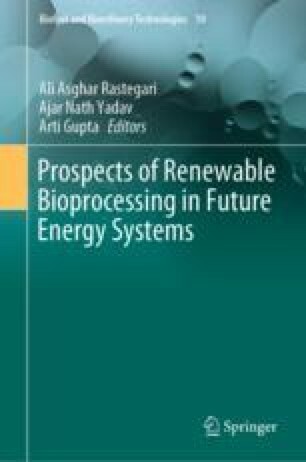 Thus fuelling the future, the engineered microorganism can be explored for the production of next-generation lignocellulosic bioethanol.